Hexagon‘s Mining division recently introduced HxGN MineDiscover Core LP and Core HP, rugged industrial computers designed for the toughest mining environments. The new low-precision and high-precision computers feature an extremely robust design, tailormade for the most challenging conditions. They deliver exceptional performance, flawlessly capturing telemetry and production data and boosting site efficiency and productivity. Both modules feature a powerful Intel-based computing platform that dramatically improves performance and enables better machine application integration. The units deliver unsurpassed flexibility and scalabilty, future-proofing mining customers‘ investment in the machine platform. The MineDiscover Core units feature a variety of integrated connectivity options. 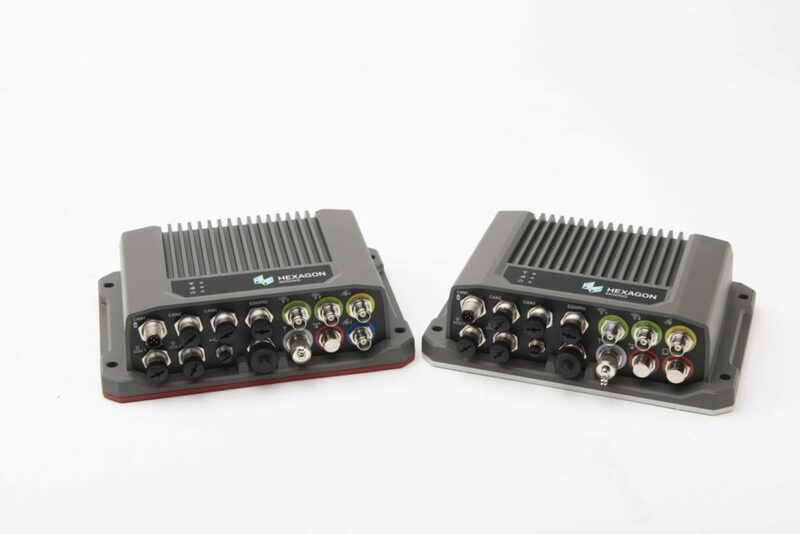 These include dual Wi-Fi modules, cell modem and UHF radio. Additionally, Core HP integrates a high-performance chassis sensor to improve machine tool accuracy. “We are very proud to introduce the new Core LP and Core HP products to our MineDiscover portfolio,“ said Principal Product Manager, Joe Arico. “We have worked tirelessly to ensure this is the best mining machine computing platform in the market. Core LP and HP will become the standard offering for all machine applications, consolidating and simlifying all machine solutions offered by Hexagon‘s Mining division. Learn more about Core LP and Core HP in a video interview with Joe Arico.